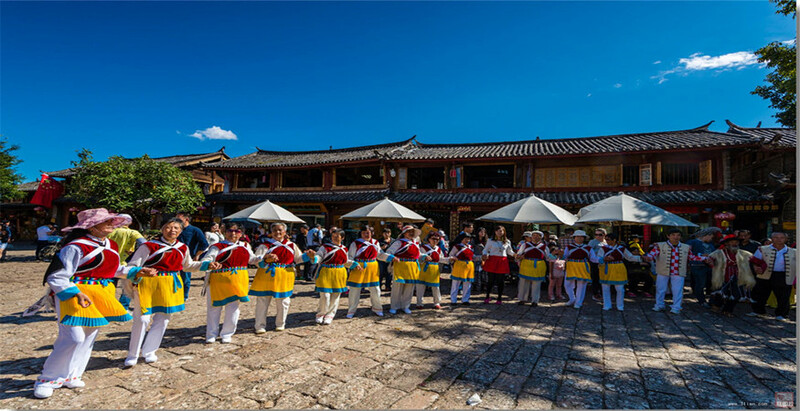 This is a classical tour for people to come to Yunnan. Visit the best destinations of Yunnan: Kunming – Dali – Lijiang to discover the natural beauty of Yunnan: Stone Forest, Erhai Lake, Jade Dragon Snow Mountain, Tiger Leaping Gorge etc. The best destinations of Yunnan: Kunming-Dali-Lijiang. Explore the ethnic groups of Yi, Bai, Naxi, Tibetan, etc. At 09:00 am, meet your tour guide & driver at Jinma Biji Archway and then drive about 85km to the visit the Stone Forest. 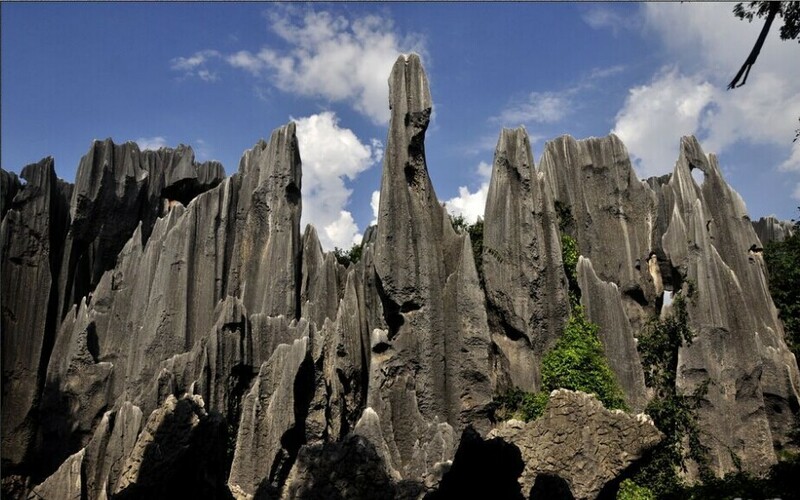 There is a local saying says that “It will be a waste without visiting the Stone Forest when you visit Kunming”, you can see that Stone Forest is trully loved by local people. In the afternoon, drive back to Kunming and visit Birds and Flowers Market. Then, stroll around the Green Lake to enjoy the leisure lives of local people. In the morning, take the high speed train to Dali (2 hours) to visit Xizhou Town Xizhou Town to fully appreciate Bai-style traditional architectural courtyards, taste their fragrant Three-Course Tea and explore their distinctive culture.Transfer to visit Zhoucheng Village Zhoucheng Village and the Bai people’s Tie-dying cloth workshop where you can take some special souvenir with the Bai ethnic style. 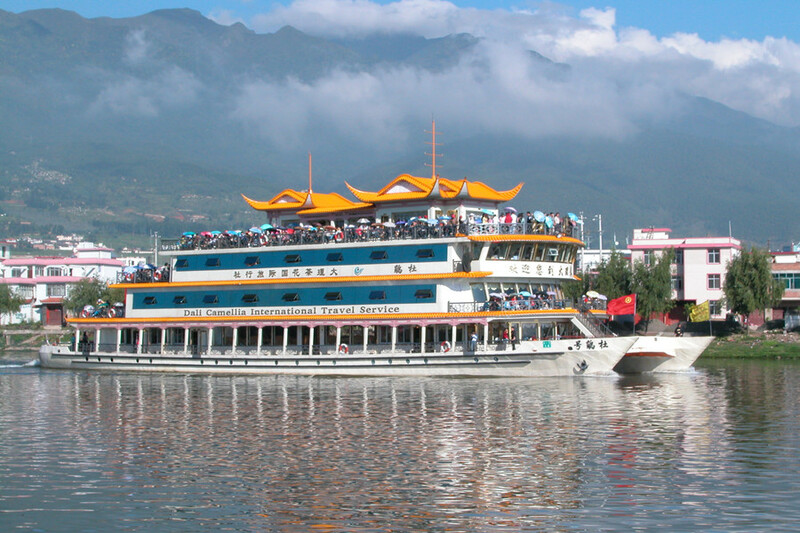 In the afternoon, take a cruise to Jinsuo Islet in Erhai Lake. There are 200 Bai ethnic families around 1000 people in Jinsuo Island.In Erhai Lake cruise, you will enjoy the green Cangshan Mountain and the Three Pagodas from a far as well as lots of birds and seagulls flying over the lake. Then continue the tour to Three Pagodas of Chongsheng Monastery which has a history of over 1,800 years located at the foot of Cangshan Mountain facing to the Erhai Lake. Three Pagodas are made of three ancient independent pagodas forming a symmetrical triangle.Drive back to your hotel. Service ends. In the morning, explore Dali Old Town, you can stroll around Dali Old Town to visit Foreigner’s Street, the Ancient City Wall and the Gate Tower. 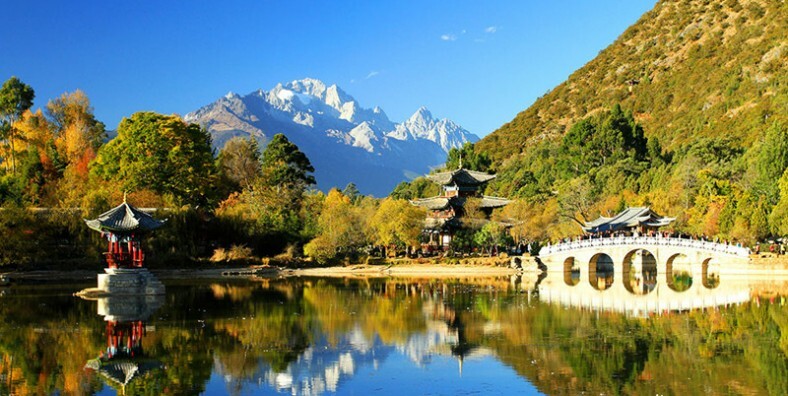 Then, drive 2 hours to Lijiang to visit Lijiang Old Town which is being reported as one of China Historical Cultural Cities in the whole world’s cultural heritages. Also pay a visit to Black Dragon Pool, the main headwater of the Yushui River which goes through the Old Town. 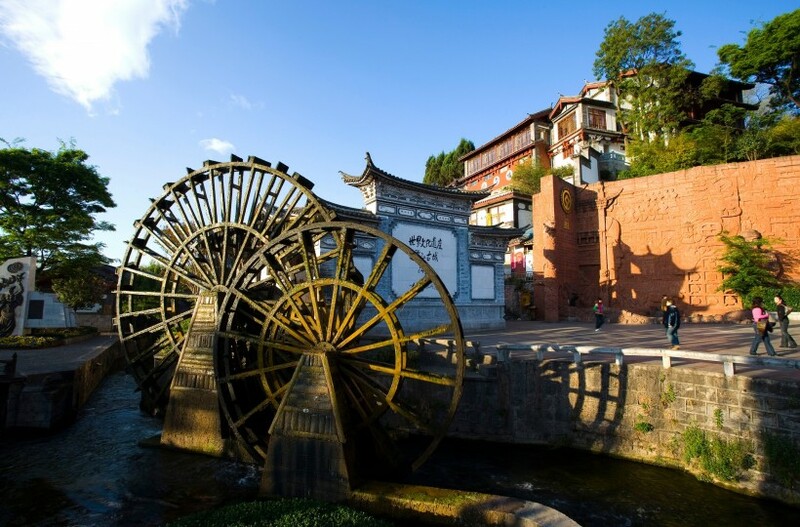 In the late afternoon, transfer to visit Baisha Old Town, which is an enchanting traditional Naxi style old town. This morning, walk to visit the Baisha Mural about 600 years old, which is a part of the World Cultural Heritage by the UNESCO 1997. Then, drive to Yuhu Village which is located at the foot of Jade Dragon Snow Mountain. When walking into this authentic Naxi Village, you’ll see unique stone houses, Naxi ladies dressing in traditional clothes, kids playing, a tranquil Yuhu Lake…Explore leisurely around the village and then get to the Former Residence of Joseph Rock, who was an Austrian-American Botanist came to Lijiang and stayed in Yuhu Village for 27 years and made huge research work on Naxi minority. 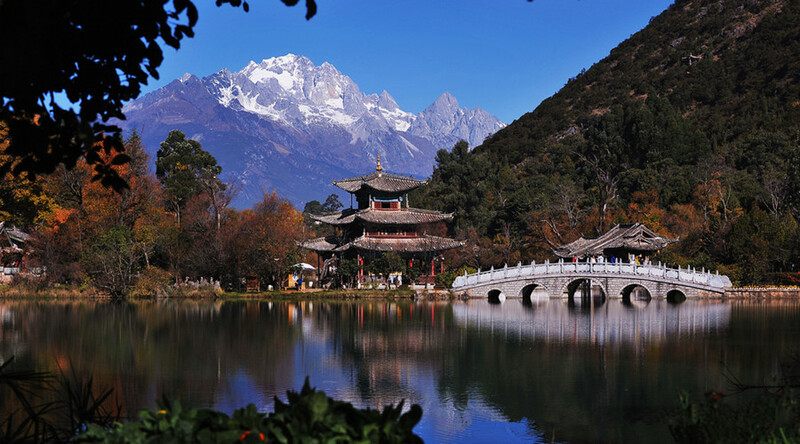 In the afternoon, take a leisure walk up the Lion Hill and climb up the 33-meter-tall Wanggu Tower – the landmark building of Lijiang to enjoy a panoramic view of the whole old town and countryside scenery, as well as overlook the magnificent Jade Dragon Snow Mountain in the distance. Later, follow a trip to Ming-dynasty style Mufu Palace, the “Forbidden City” of Lijiang to know Tusi’s ruling history and appreciate Naxi people’s brilliant culture and fine arts. Option: If you don’t want to choose our Lijiang city tour, you also can take our option of 1 Day Jade Dragon Snow Mountain Group Tour (Price: USD 150/Person extra). High speed train ticket from Kunming to Dali(2nd class seat).